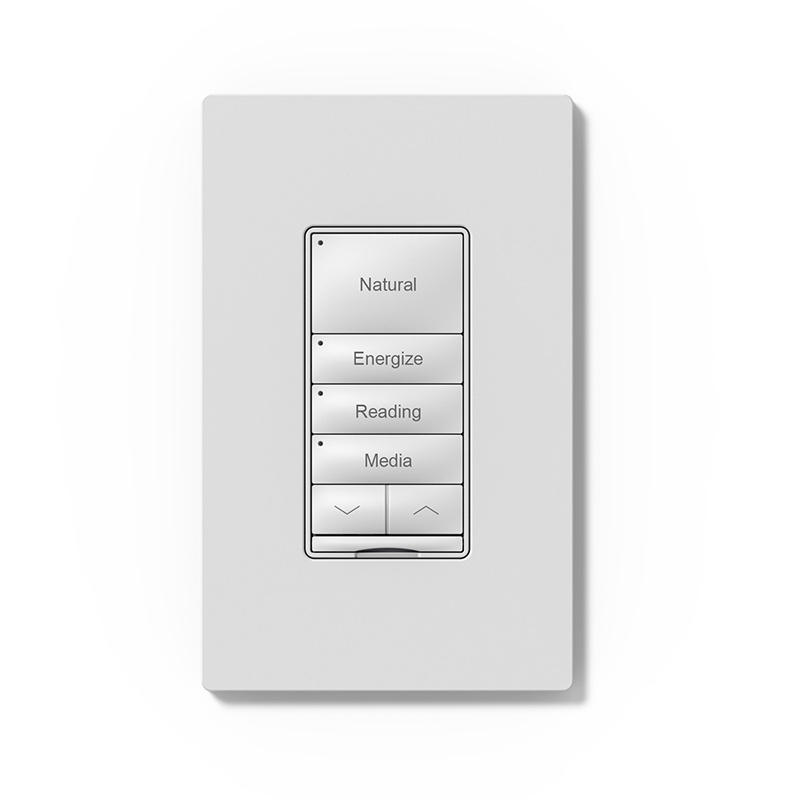 Ketra’s X2 keypad is a specification grade, fully programmable and customizable interface between the Ketra lighting system and its users. With its classic button-style interface and ability to recall stored settings, the X2 makes it easy to control Ketra devices on the control network. X2’s come in two models: a wireless KetraNet Mesh controller and a wireless KetraNet Mesh controller with onboard 600W incandescent dimmer. The latter is ideal for spaces where both Ketra and traditional lighting sources need to be controlled. The X2 is perfect for retrofit installations as well as new construction, fitting within a standard wall box and either Decora® or Claro wall plates.